Send your answers to the questions below to dbrito@ymcaodessa.org for a chance to receive a $50 Visa gift card! How long have you been coming to the YMCA? What was life like before joining the YMCA? What was the biggest challenge you were facing? Give me an instance that a Y staff member has gone above and beyond. What do you think others should know about the Y? 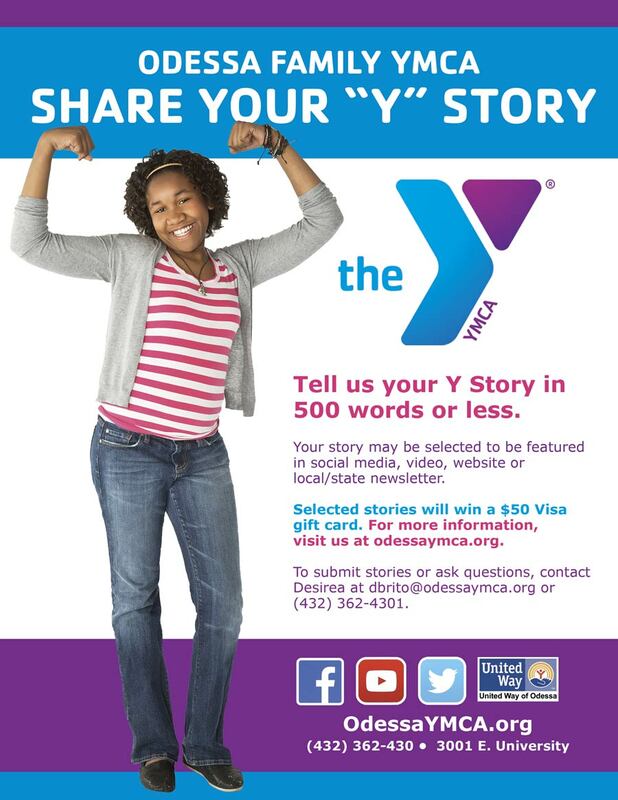 What would you like to say to someone considering joining the YMCA?